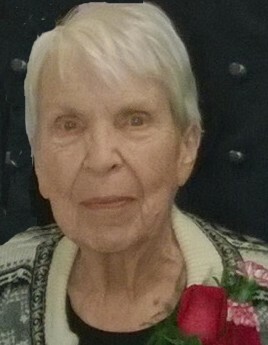 Nancee Joy (Larson) Andresen, 82-years-old, died on Saturday, January 12, 2019, after her valiant fight with cancer. Her strong will to live, unwavering faith in God, and the love and prayers of family, friends, and many supporters carried her through months of struggles. Nancee was born August 10, 1936 in Rake, Iowa to Thorald (Tork) and Joyce “Joy” Larson. She was raised in Rake with her brothers Duane, Larry, Reggie, Tom, and Tim, and her sister Kitty. She attended Luther College in Decorah, Iowa, and in December, 1956 she married Erwin Andresen in Albert Lea, Minnesota. Together they had seven children, son, Philip, and daughters, Beth, Ruth, Kate, Maria, Diane, and Jenny. Nancee had so many passions in life. She loved instrumental music, beautiful pieces of art, elegant design, politics, travels, education, and most importantly helping people become self-sustaining and happy with themselves. Anyone who was able to spend time with her was blessed to learn many valuable lessons from her. She shared those lessons with her children, her 16 grandchildren, and her 25 great-grandchildren. She also shared her life lessons with the hundreds of people she counseled for almost thirty years at Fountain Centers. She taught us to stand up for what we believe, follow our heart, and always see the good in others. Her granddaughters say “There’s not an action we take that she hasn’t influenced, and for that we are beyond grateful.” The children especially loved her favorite lesson “Dessert was intended to be eaten first, just in case you didn’t make it to the end of the meal.” Nancee truly left a legacy of life to many. Nancee was preceded in death by her husband Erwin Andresen, daughter Elizabeth (Beth) Andresen, parents Thorald (Tork) and Joy Larson, brothers Larry Larson and Duane Larson, sisters-in-law Marge Larson and Barb Larson, and brother-in-law Richard Landess. Diane Groth, granddaughter Cassandra (Pedro) Navarette, great-granddaughters Isabella, Keisha, and Veronica; granddaughter Clarissa Groth; grandson Zachariah Groth. Jennifer Knudtson (fiancé Ron Richardson), granddaughter Elisha Knudtson (fiancé Alex Scott), great-grandsons Jackson, Conner, and Brennan; granddaughter Tanya (Ross Wadewitz) Knudtson, great-granddaughter Claire, great-grandson Wyatt; granddaughter Tabatha (Nick) Erlandson, great-granddaughters Lucy and Eliana; grandson Jonathan Knudtson. Brother-in-law Merle (Darlene) Andresen, Sisters-in-law, Beth (Dave) Breamer, Thelma (Chuck) Niebuhr, Clarine (Floyd) Wallace, and many nieces, nephews, great-nieces, and great-nephews. Visitation will be held Friday, January 18th, 5-7pm at Bonnerup Funeral Home in Albert Lea; funeral service will be held Saturday, January 19th 10:00am at First Lutheran Church in Albert Lea with visitation one hour prior; a private interment will be held in Rake, Iowa at West Cemetery.